from Darryn McAuliffe, Industry Solutions Executive, NAB Franchise Banking. 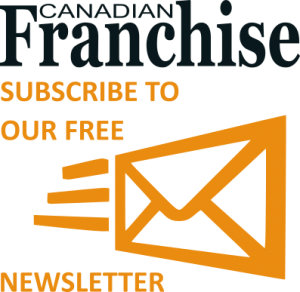 Whether it is a natural career progression, or a change of lifestyle that you’re looking for, making the decision to buy a franchise can be an exciting yet daunting one. Many individuals are achieving business success by opting into franchises that offer a proven business model and an established brand. Which Franchise Is For You? Do I have a passion for the franchise brand and its product or concept? Will I be motivated to work in the business for the next five to ten years? Do I see profitable growth in the franchise, and if so, can I acquire more outlets once established? Will I be happy to comply with the existing system without wanting to make my own changes? If the answer to all of these questions is a resounding ‘yes’, then it’s likely the franchise you’re considering will suit you, and importantly your relationship with the franchisor will be a positive and mutually beneficial one. If not, it may be worth considering another franchise system which is more consistent with your business objectives and management style, to avoid issues down the track. If you’re comfortable with the investment required and have decided on your franchise, the next decision is whether to buy an existing franchise site or to open in a new location. Both have merit, however, an existing site will have a proven track record and cash flows (which will be reflected in the goodwill paid). A new site may be cheaper, although may not be profitable for a year or more and may need additional capital to support it during the start up period. Start up working capital, in addition to any capital required to support the business until it is cash flow positive. The business plan is your blueprint for success, so if you’re not confident in doing this alone, it’s recommended you seek professional advice from a reputable firm with experience in franchising. A Franchise Banker can help you find an accounting firm in your local area, and can also supply you with a business plan to help you on your way. A business plan will cost you roughly one to two per cent of your total investment costs and so is well worth it in the grand scheme of things. The decision to buy a franchise is life changing and not without risks, however there is considerable upside to be achieved if the business is successful. The key is to be honest with yourself, have a passion for the business, do your homework and seek sound professional advice from people with expertise in franchising. Once you’ve done your due diligence and decided to buy a franchise, you will most likely require advice on obtaining financial assistance. The tips below will hopefully provide some guidance on what to consider in your search for finance for your franchise. Before making any business decisions, it is important to assess your passions and personal commitment, get your finances in order and do some thorough research on franchise systems available. As always, business fundamentals will drive the appetite of any financier. The key element of the approval process is character: the more competent and professional you are in your dealings with a bank, the more likely your application is to progress. It is important to determine what funds you can contribute to the business and how much you can afford to borrow rather than ask how much you can borrow. You need to do some homework to establish how you will service any borrowing and what level of risk you are comfortable with. As cash flow fluctuates do some forecasts on how you would cope if incoming cash was to decrease by 20 per cent. Just like you and your customers, relationships forged with your bank have the potential to grow into long and enduring ones which will become key to the long-term success of you and your business. How Do You Choose the Right Bank? Choosing the right bank should be a high priority if you are looking to prosper and build on your business and personal wealth. Your banker should be more than just your finance provider. They should be your business partner who can back you, who understands the franchising sector, your franchise system and wants to understand your personal and business aspirations. It’s important to choose a bank that specializes in the franchising sector – making sure they don’t simply market themselves as specialists. In many cases you can be funneled through a ‘franchising manager’ only to be referred to a general business banker with little or no franchising experience. As a franchisee, you should seek out a banker with franchising knowledge and expertise that will understand the current climate and the dynamics that may affect your franchise as well as industry-specific business acumen to make the buying-in process smoother. There could be other start-up bonuses for dealing with franchise specialists too. While finance may be an essential ingredient to making your dream come true, ask your banker about other essential business services, such as staff superannuation plans, business insurance and financial planning advice as well. You want your banker to work closely with you to provide financial, business and personal wealth advice, not just assistance with loans. Business and personal financial goals shouldn’t be separated; it’s likely you can make them work for each other. Wealth creation should be looked at on a holistic level. Ideally your franchise business banker will have access to other specialists within the bank and deliver the right advice for you in the areas of wealth management and financial planning. A demonstrated understanding of the key drivers of your business. Location and access: Your business banker should be located in your local area for those business needs that can’t be met on the phone or online. Service offering: The ability to deal with one bank and have a dedicated relationship banker to meet both your personal and business financial needs. Pricing and fees: Competitive pricing should not be the only criteria in determining which bank is right for you. Getting the right capital structure and business insight are also important. Product and specialist service: Larger business banks will be able to provide additional services and products including point of sale capability and bankers that specialise in the sector. Do your research – or better yet, get some help! Franchising is a big sector, which means there are plenty of people like you looking for information. The majority of the mature franchise systems will have arrangements with banks that make the basic process of getting finance to buy your business as easy as possible. As well as streamlined lending processes, these arrangements allow the franchisee to repay the money within a reasonable period of time while making a profitable living. A good bank with a specialist franchise banking division will only look to establish packages for franchise systems that appear to be well developed or established, financially sound, provide people support, training, processes, marketing, operational support and, importantly, allow franchisees the opportunity to make a reasonable profit from the business. Through the process of ‘accreditation’, a bank examines a franchise system to gain a better understanding of the system and how it operates to assess business risk. This helps it to streamline financing processes and provide consistency across the franchisees within the same system. The stability of the system includes the franchisor’s background, their industry know-how, financial position and trading history. We investigate activity within the system such as the number of franchisee transfers, terminations (initiated by franchisor and franchisee) and franchisee outlets bought back by franchisor. An attractive feature of a stable franchise system is the achievement of scale (size and number of outlets). How well does your experience as a franchisee meet the expectations you had when you bought the franchise? Would you invest in the franchise system again? Would you recommend others to purchase a franchise within this system? Strategy relates to the future plans for the system including growth strategies. In particular, is the growth strategy realistic, sustainable and underpinned by a clear understanding of: the current marketplace; the industry outlook; the system’s competitive advantage; and effective back office/support mechanisms? The accreditation process may uncover issues such as prior litigation and trademark issues that are also relevant to a new franchisee but run the risk of being overlooked. This may offer a certain level of comfort for new business owners, particularly those buying their first franchise. For franchisors, accreditation is a value-add for franchisees as it makes it easier for them to work with banks for their franchise finance needs and also greatly enhances a bank’s understanding of the business. Once a system is accredited, applications for finance do not centre on a review of the business but more so on the applicant and their plans. The accreditation process is ongoing. We review formal accreditations on at least an annual basis and as part of this process will increase or decrease lending ratios and conditions based on the system’s track record and apparent risk profile. Banks continually look to fine tune and improve accreditation processes to promote a more efficient and predictable process flow with each transaction. A common misconception is banks are not interested in working with emerging systems – most are keen to develop a relationship and understanding of both parties. This assists understanding of what it takes to become accredited if that is part of the franchisor’s strategic growth and system development. Based on the bank’s investigation, a ‘franchise package’ is created for all franchisees aimed at making their life easier by offering a package of financial solutions tailored to the needs of the business owner. The bank will already understand the franchise system and the financial and operational requirements of the franchisee and can therefore tailor a cost effective and complete financial package. Not only can the franchisee take advantage of some great ‘group deals’ and obtain lending packages against the value of the franchise system, they can immediately focus their time on actually running their business, comforted by the fact that the bank has already established both their setup and ongoing finance requirements and put together a standard package to meet those. What Benefits Does Purchasing From An Accredited System Give Me In Dollar Terms? Joining an accredited franchise system means that you may be able to borrow 40 to 70 percent of the total set up cost of a new franchise, or purchase cost of an existing franchise, without necessarily providing your home as collateral for the loan. While the initial set up costs of buying a franchise are higher than normal, you are buying into an established brand, defined processes and proven model and if you’ve picked a good system, then you will benefit from ongoing support of your franchisor. Once you’ve decided franchising is right for you, make an appointment with your business banker who can guide you through the process and put you on the right path to achieving your personal and business goals. ← Business in La Belle Province – Can You Really Afford to Ignore it?